Just a quick update on the Alzheimer's Awareness Quilt Initiative. The first one from the MQA group to sell was Brenda Crownover. http://www.alzquilts.org/12475.html It raised $60. Two of our groups were accepted to the auction; Sheila Pierce http://www.alzquilts.org/12478.html and Watana Cantrell http://www.alzquilts.org/12480.html. This is for the December Auction that will run from December 1 to the 10th. Mine are still not up, but I am sure they will be soon! Every one have a wonderful and safe Thanksgiving. Probably won't be much sewing this week. I am going to Boulder to see my wonderful, smart, fun, athletic, talented, giving, beautiful daughter. We are planning to have a wonderful Thanksgiving day dinner with whom ever is around that wants to come. Been getting exciting that Bonnie Hunter mystery starts Friday. I have never participated before, but decided to do it this year. These are the colors she is doing hers in. I started to do mine in the same colors, but I did not have much teal. So first I was just going to substitute in blue for teal and move forward. Then I decided that I am going to use a different color combination. So I went shopping in my stash of fabrics and pulled this combination. 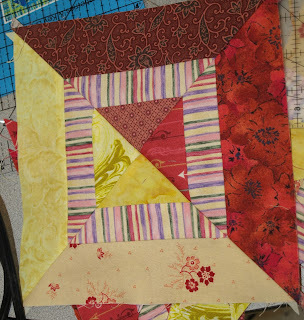 I am liking it a lot...still not sure about everyone of them, but I am trying to do this quilt without buying any fabric....I have been organizing my fabric and I have a bunch of it up there. So I am trying to sew it up and make room for more. I would have to get rid of two blocks to make it square. 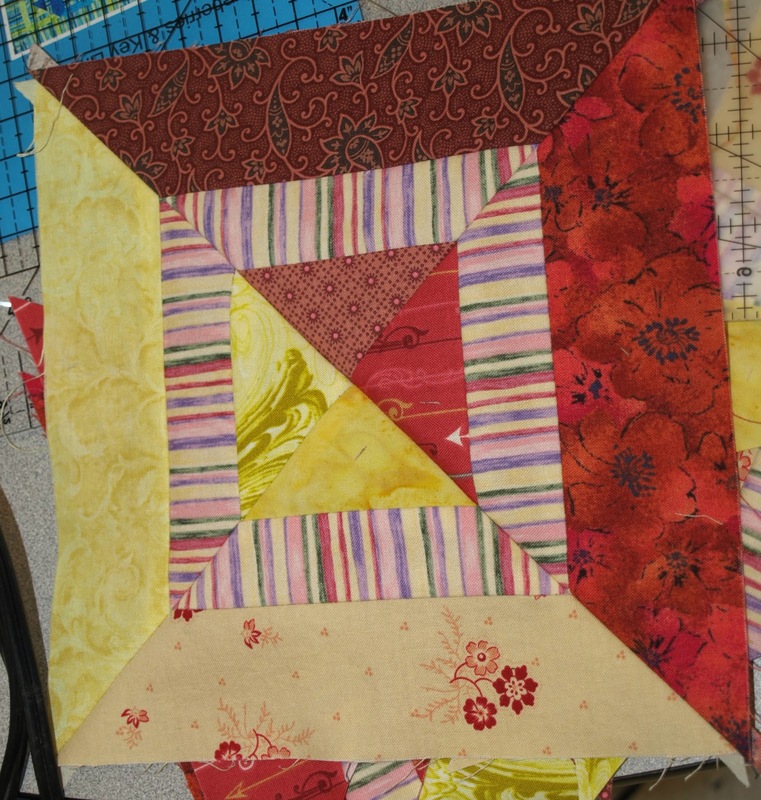 or a 3 x 6 block quilt and make a long quilt...maybe with sashings between the columns? What do you all think? Our quilts are still on the waiting to be assigned page, but pictures of all our quilts are up, except mine. 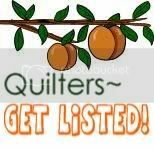 The ones I registered for myself were sent to one lady and the ones I was the quilt registration goddess (their words) for were sent to another lady. The one that is doing mine might be at the International Show in Houston...so I am sure once she is back they will be posted. I know the lady who assigns the numbers was going and indicated they had a group going to work the show. Photo credit:"Alzheimer's Illustrated: From Heartbreak to Hope" quilt exhibit. 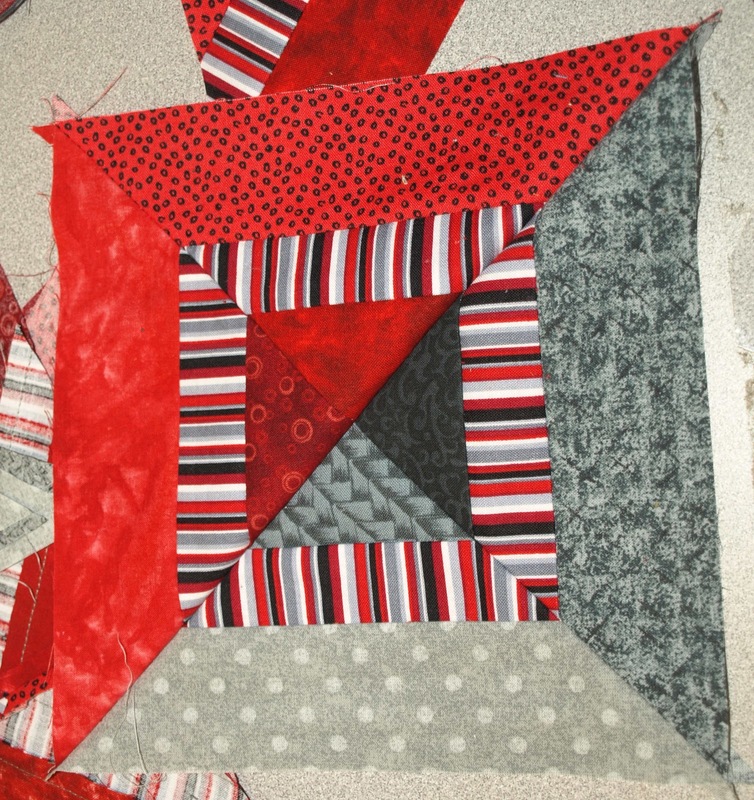 Photo courtesy of Alzheimer's Art Quilt Initiative. All these photos are credited to Alzheimer's. 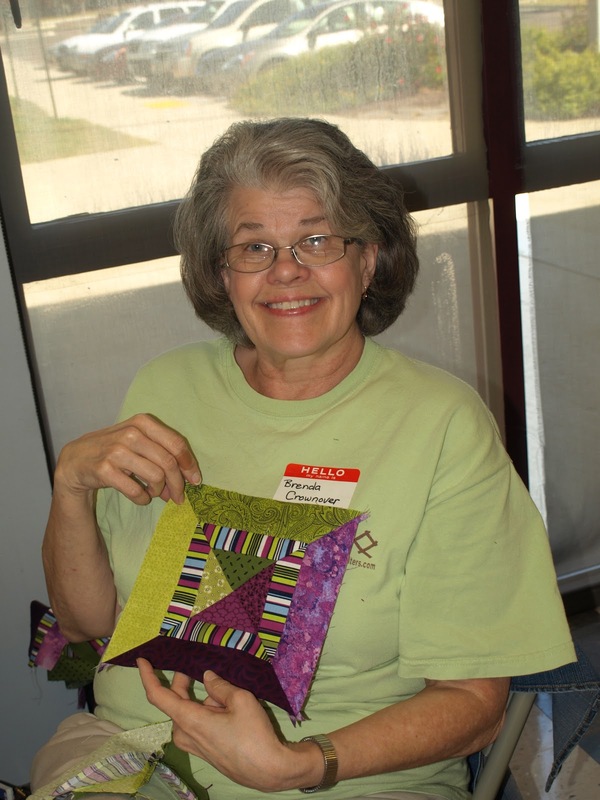 you can click on the quilt to go to alzheimer's page! Our guild, in conjunction with the Starkville guild arranged to have Klaudeen Hanson come teach two seminars on the same topic so that we could share the cost. She taught one in Columbus yesterday and today was in Starkville. Since I work, I went to the class in Starkville. They have a beautiful facility at their Sportsplex. It is so roomy and bright. We were making her quilt pattern called Blueberries and Key Lime Pie. It is a fairly simple pattern that can look very different depending on colors and types of fabrics. I like the wavy stripes. This pattern looked really elegant. I forgot who had this one, but the stripe was really a bargello that looks striped when cut across. Nancy from Starkville - love the black and white, that will be very dramatic. I always think brown and blue look manly. I forgot...but this looks like the colors of an iris. Bobbie's looks like summer to me. If you look close, my striped fabric has skulls on it...I have very little striped fabric in my stash of fabric, so I bought this fabric for this project. I may have to decide to not eliminate it so quickly. I usually choose not to use it as directional fabrics sometimes cause design problems. But I put striped fabric on the binding of the last quilt and we used it in the stratas last summer and I really like it in this. Hmmm, I am sensing a trend. Here are a few more photos from the day. It was delightful and relaxing. Hope everyone from the other class had as much fun.